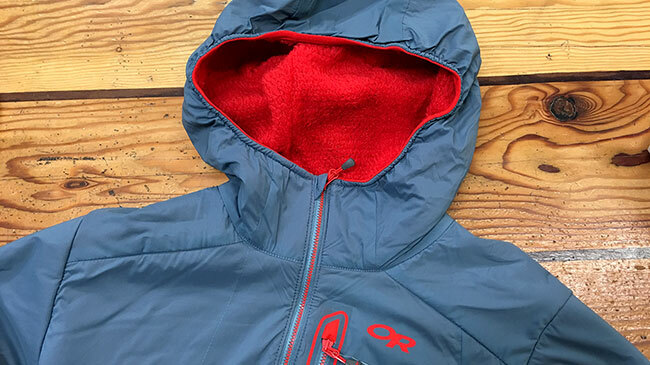 Bogong Blog - What's So Great About the Outdoor Research Ascendant Insulated Hoodie? Outdoor Research Ascendant Insulated Hoodie. The new Outdoor Research Ascendant Insulated Hoodie (yes, it's a mouthful) hit our shelves last month. We think it's worth a write-up, because it's one of those jackets that "does it all". In fact, it's a serious contender to become a new customer favourite. The Outdoor Research Ascendant Insulated Hoodie behaves a lot like another jacket we stock: the Arc'Teryx Atom LT Hoody. The Ascendant is similar in that it's another lightweight, breathable outer layer that somehow, keeps you warm without making you feel like you're roasting in an oven. Essentially, the Outdoor Research Ascendant Insulated Hoodie is a go-to jacket for autumn, winter and spring. Quite a few staff members here at Bogong Equipment have bought one for themselves, and they've been observed wearing it almost every day. Bogong staff Mark models the Outdoor Research Ascendant Insulated Hoodie. 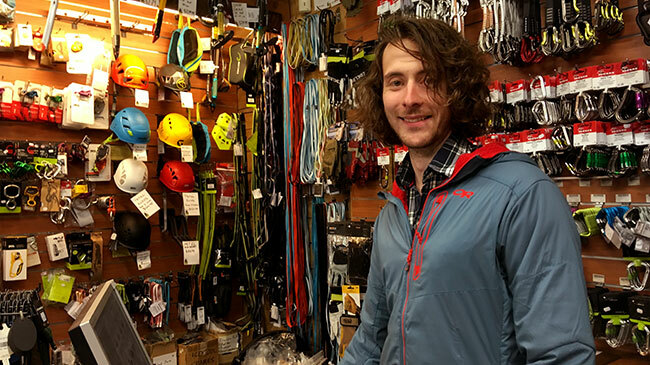 Staff get a lot of use out of the Outdoor Research Ascendant Insulated Hoodie because it's versatile. Pile that's used as inner fabric is fluffy – which gives the fabric loft, and therefore warmth. It's also loosely knit, which allows air to pass through it, making it breathable. As you would expect, the outer fabric is quick-drying, so you don't need to pull out your rainjacket if you get caught in a brief drizzle. Despite it's magical temperature regulation and breathability qualities, the Outdoor Research Ascendant Insulated Hoodie is a pretty simple, no-fuss jacket. Essentially, it's a zip-up jacket with a hood. The centre-zip closure is neat and effective. The hood is helmet-compatible, giving the jacket versatility for when a chill wind picks up – either around town, or in the hills. Being designed to be worn as an insulating layer – that you might wear without a rainjacket – the outer fabric is wind-resistant and water-resistant. Of course, like any good jacket designed to be used while you're active – climbing, belaying, skiing – it's stretchy enough to move with you. This means that it's not only non-constrictive when you're pulling dynos on a headwall, or throwing yourself into those turns; a good fit means better insulation – warmth stays in. One thing about this jacket worth noting is that it's quite a slim, trim fit. This could be a dealbreaker if you have a body shape that's not a good match. Besides its magical fabric, the Outdoor Research Ascendant Insulated Hoodie has some useful extras. First, it has thumbloops that are internal. Internal? Rather than a thumbhole worked into a seam, the Ascendant has loops on the inside of the cuff. This design gives your thumb more protection from the elements. Two: There's a key clip inside one of the hand pockets. This is really handy – you'll know where your keys are when you're fumbling around in the dark, after a climb. Or, you can clip other handy things to it – e.g. pocket torch, lip balm, whatever. Zippered chest pocket: Because hand pockets are never enough. Also, the Ascendant's hand pockets aren't zippered. This is a pro or con, depending on your personal preference. Personally, I like the added security of zippered pockets. But, no zips means that tucking your hands in is fast and easy. Of course, the fuzzy material on the inside of the jacket is also on the inside of all three pockets. Toasty! See the men's Outdoor Research Ascendant Insulated Hoodie here. See the women's Outdoor Research Ascendant Insulated Hoodie here. See the men's Outdoor Research Ascendant Insulated Vest here. See the men's Outdoor Research Ascendant Insulated Pants here.